the fruit blushed red, ripening to thick juices of pain. all covered in fog and clouds for the past few days. does the failed buds of a cat’s tongue feel ? of distant stars, of the far beyond. not large currents, fluxes with crosswinds. like true desire, towards a lightening sky. I politely woke up in the morning to a flowering hope. by your talent, preserved like tinned meat. thoughts of fresh air from the eternal summit. Or have deserted me like your illegitimate newborn, by the road. on the way back from hospital, in momentary mind. with the falsity of a child urinating in sleep. Sample 1 is translated by Ron D.K. Banerjee. Sample 2-4 are done by Aryanil Mukherjee. Majumdar, Benoy. Seven Poems by Benoy Mojumdar, tr. 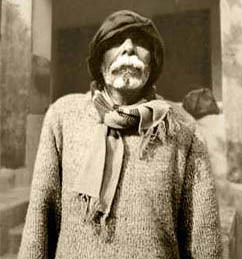 Jyotirmoy Datta. Hudson Review v. 21 n. 4 (Winter 1968-1969), pp. 648-650.